Aaand relax! It’s Friday – it’s the end of another busy week – and it’s time to reconnect with the family. For our family, the weekend also brings another special treat – a cheeky takeaway! Now I’m sure we’re not alone when it comes to that familiar dread that kicks in just after 6pm on a Friday – no-one can be bothered to cook after a hectic week at work and school, so a takeaway is the perfect solution. 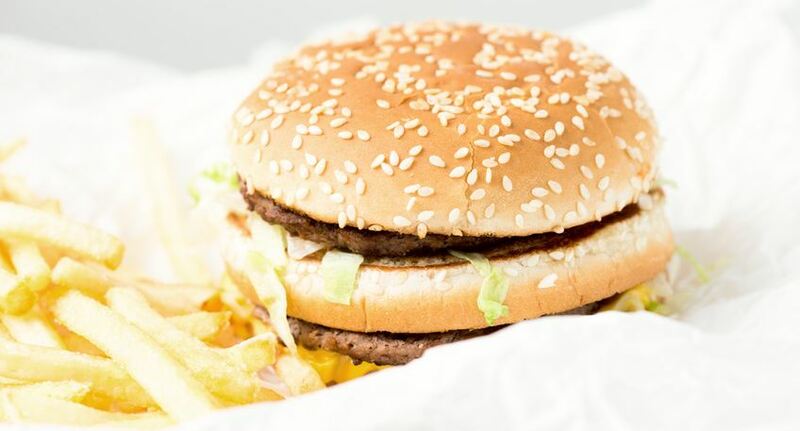 For us, that’s very often a visit to the golden arches of McDonalds – and for me, that’s a Big Mac please with chicken nugget chasers on the side! But did you know, tackling a McDonalds drive-thru could actually cost you more than just the price of your meal? A new survey has shown that one in three British drivers have bumped their car while driving in a fast food drive-thru – and worryingly (for our family! ), the highest number of accidents happen at McDonalds. Around 20% of hungry drivers said the bollards were to blame for damage to their cars, with motorists complaining about the narrow lanes and the high kerbs. It’s not just McDonalds customers who are struggling to master the skills needed to successfully negotiate the drive-thru maze though – 10% of KFC customers, seven per cent of Subway customers, six per cent of Starbucks customers and five per cent of Costa customers have also been the victims of drive-thru damage. What’s more, never mind the damage you’re risking to your vehicle in a drive-thru, you could actually be breaking the law too. We’ve all done it – using contactless payments on our mobile phone to pay for our meal. But you could legally be fined £1,000 and receive six points on your licence if a police officer caught you using your phone to pay while you’re still at the wheel. And searching for loose change to pay in cash is another completely different skill to master while you’re weaving your way through the drive-thru obstacle course. I have to say though, despite all the jeopardy that a drive-thru takeaway brings, it’s not enough to put us off our weekend treat. After all, Friday just wouldn’t be Friday without it. And there is of course a very simple solution – I’ll just get someone else to do the driving!